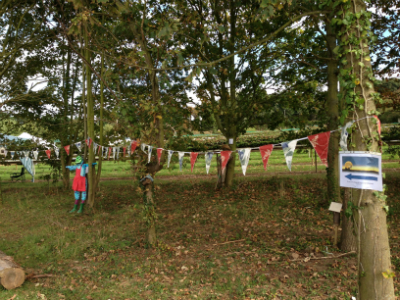 On Saturday I took the opportunity to take the bus along to Drove Orchard for Harvest moon festival organised to raise money and awareness for A change of scene for children a local Norfolk charity. 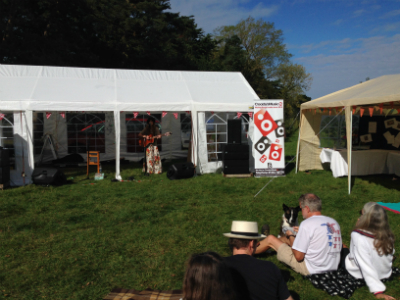 Stalls and music all day and into the evening. I arrived quite early on as I didn’t want to miss out on the cakes! I have been hoping to meet Sara and taste some of her gluten free bakes for a while so I was thrilled to find out she would be at this event. Sara’s stall looked very inviting most definitely the best looking gluten free display I have ever seen. A feast for the eye! 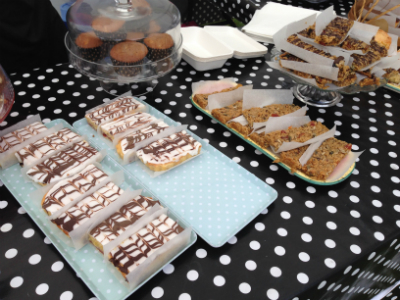 A selection of sweet tray bakes and cakes, flap jacks and muffins as well as huge slices of a selection of cakes all gluten free. 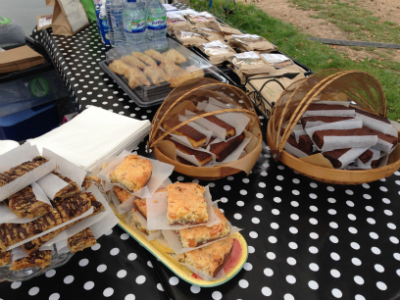 Sara caters for gluten free, egg free, dairy free, soya free and sugar free. All nicely displayed and wrapped or covered. 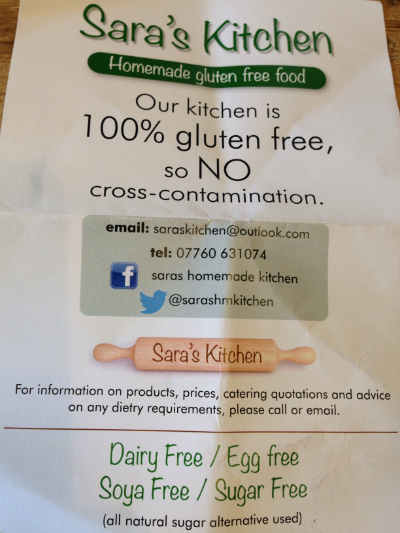 Sara’s kitchen is 100% gluten free, so no problems with cross contamination. 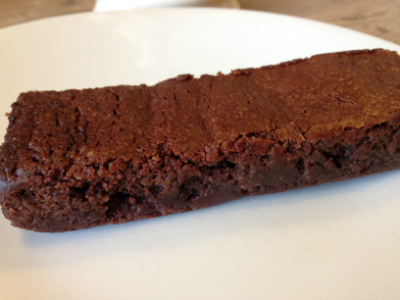 Good news for those of us with Coeliac disease or gluten intolerance. 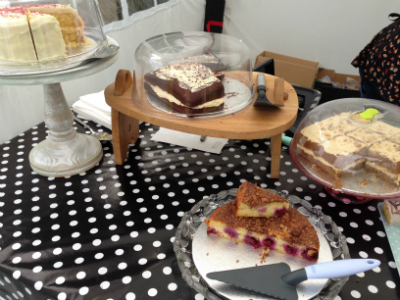 There was an enormous lemon cake on offer as well as a chocolate cake, coffee and walnut and I think a cake with fresh raspberries. 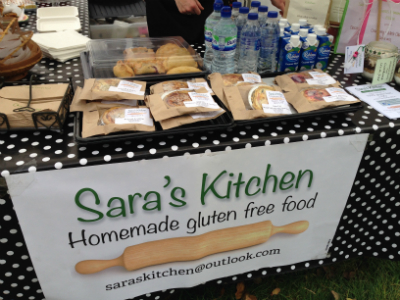 Many of Sara’s bakes use ground almonds and gluten free flour such as rice flour. 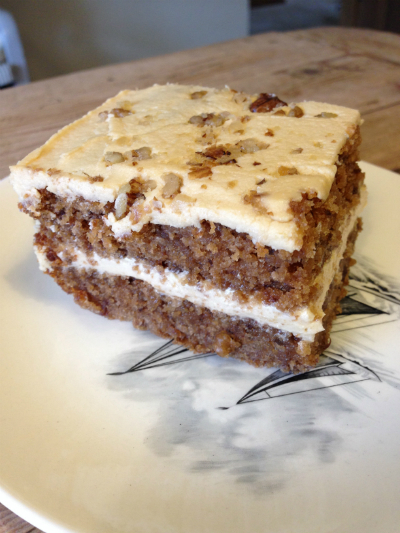 I plumped for the Coffee and Walnut cake, my favourite. I was not disappointed it was really very good. I had intended to freeze it. But that never happened. I just couldn’t control myself! 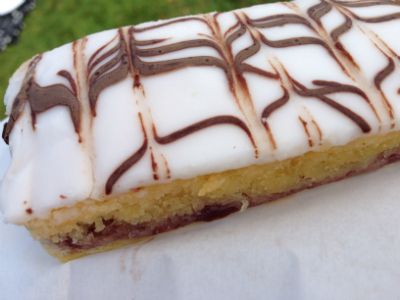 I also couldn’t resist a bakewell slice which I ate at the festival. It was truly incredible. 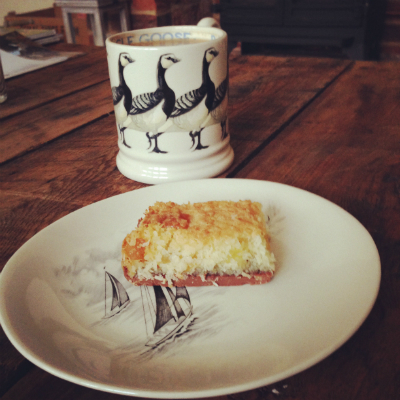 I will definitely be making a point of visiting Sara’s stall at Docking market Norfolk on Wednesday mornings 9am – 1pm . Please support this talented lady. Time for me to get back on the sugar free wagon, the things I do for my blog haha!